NEW YORK, NY – The New York City Department of Housing Preservation and Development (HPD) Commissioner Maria Torres-Springer announced today the release of a Request for Proposals (RFP) from qualified development teams to build high quality affordable homes for seniors at 97 West 169th Street in the Highbridge neighborhood of the Bronx. The development site consists of a combined total of approximately 15,100 square feet across two adjacent tax lots. The site is currently vacant and unimproved. This RFP will help advance the goals of “Seniors First,” a slate of new programs that the Administration introduced last year to double its commitment to senior housing over the extended 12-year Housing New York plan, serving 30,000 senior households by 2026. “Today’s announcement by HPD of a Request for Proposals for the first publicly owned site is a direct result of the Jerome Neighborhood Rezoning and I am extremely proud that this development site at 97 West 169th Street in Highbridge, will be 100% affordable housing for low income seniors. Approximately 80-100 units for older adults ages 62 and older, coupled with social services through the city’s SARA program will provide long-term housing for our seniors. I am proud that the first RFP through the Jerome Rezoning prioritizes seniors and I look forward to working with HPD and the Administration on this project and future development opportunities in the Jerome Community,” said Councilmember Vanessa Gibson. As part of its commitment under the 2017 Jerome Avenue Neighborhood Plan to increase the production of affordable housing in this part of the Bronx, the City invites developers, including non-profit entities and M/WBE firms, to submit proposals for the design, financing, construction, and operation of a new residential development on City-owned land. The site will be subject to a remainder interest agreement, which will cause the ownership of the land to revert back to City control unless it remains affordable in perpetuity. As a part of Housing New York 2.0, the de Blasio administration’s accelerated and expanded plan to produce 300,000 affordable homes by 2026, the City launched Seniors First, a three-pronged strategy to reach more of the growing senior population. 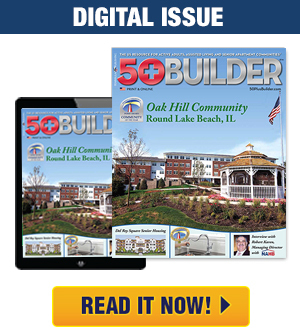 To date, the City has financed more than 6,500 senior homes. To advance the goals of Seniors First, in June 2018 the Administration agreed to prioritize two NYCHA sites and four additional City-owned sites over the next two years for 100% senior affordable housing projects, with a total development cost of approximately $500 million. The West 169th Street is one of the six development sites identified, and the winning submission will be financed through HPD’s Senior Affordable Rental Apartments (SARA) program. Deadline for submission to the RFP is April 4, 2019. For more information and to obtain a copy of the RFP, please view the RFP webpage. 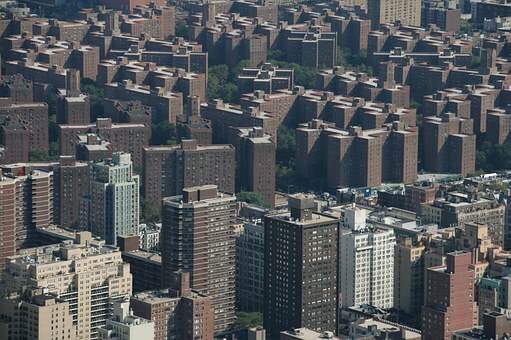 The New York City Department of Housing Preservation and Development (HPD) is the nation’s largest municipal housing preservation and development agency. Its mission is to promote quality housing and diverse, thriving neighborhoods for New Yorkers through loan and development programs for new affordable housing, preservation of the affordability of the existing housing stock, enforcement of housing quality standards, and educational programs for tenants and building owners. HPD is tasked with fulfilling Mayor de Blasio’s Housing New York Plan which was recently expanded and accelerated through Housing New York 2.0to complete the initial goal of 200,000 homes two years ahead of schedule—by 2022, and achieve an additional 100,000 homes over the following four years, for a total of 300,000 homes by 2026. For full details visit www.nyc.gov/hpd and for regular updates on HPD news and services, connect with us on Facebook, Twitter, and Instagram @NYCHousing.